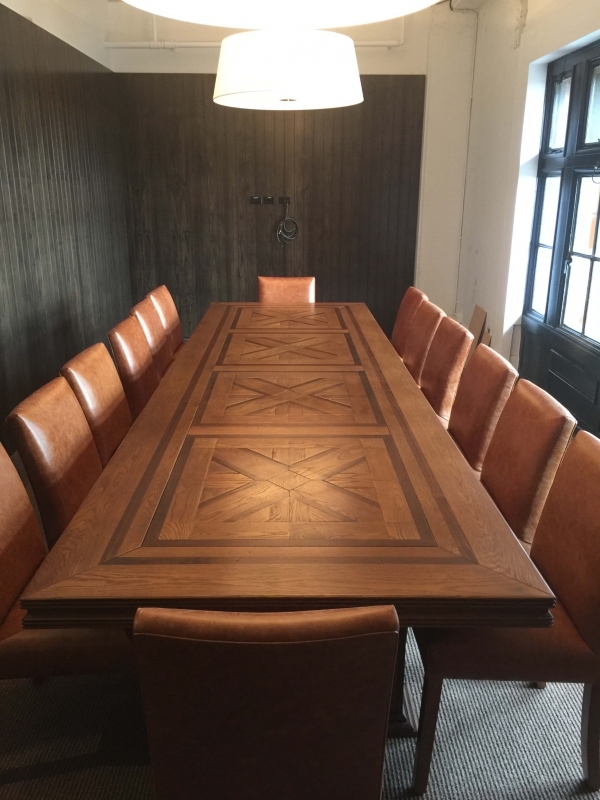 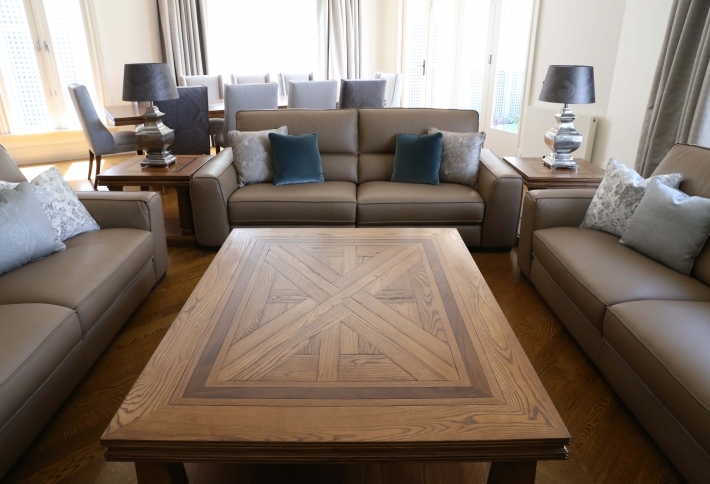 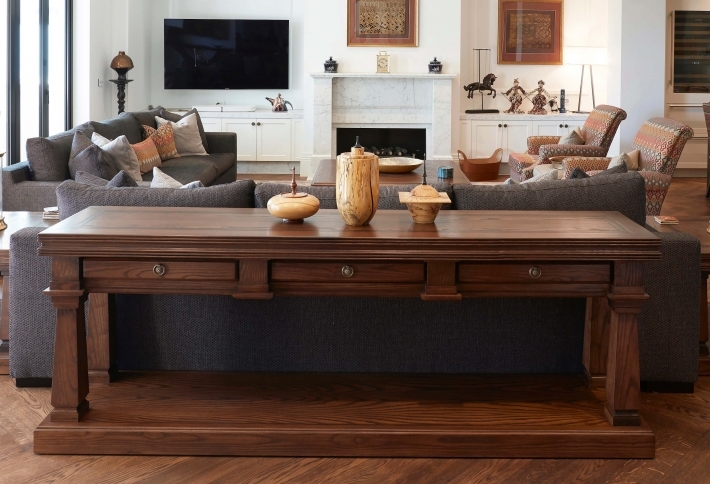 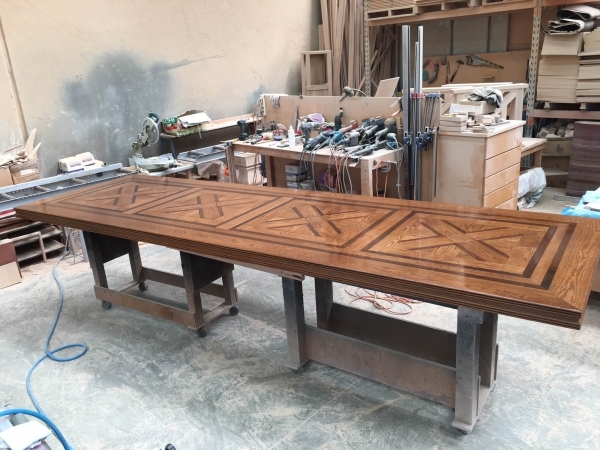 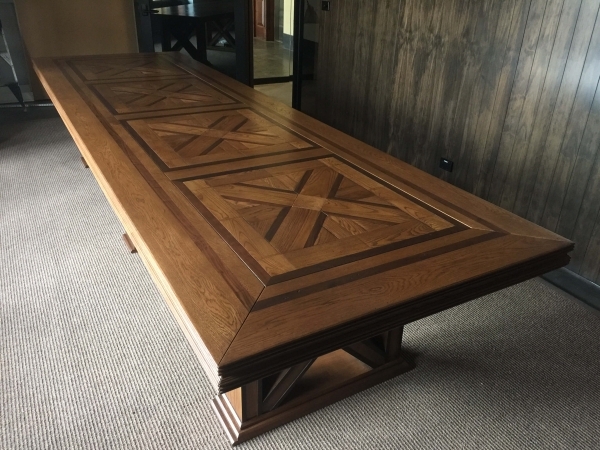 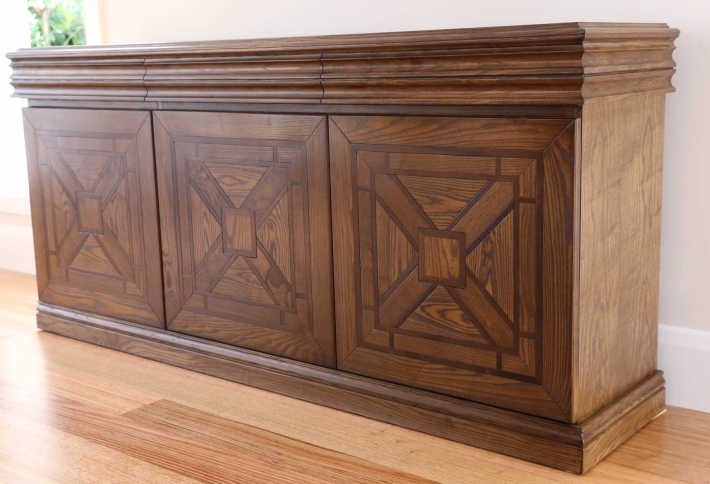 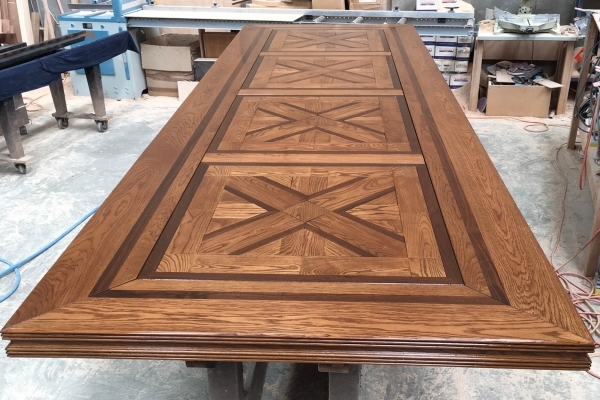 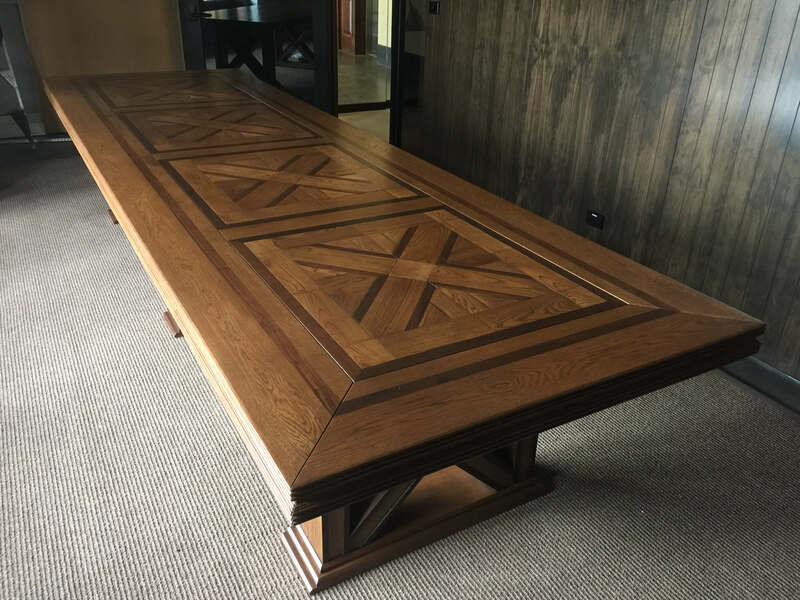 A large table made using solid Oak and parquetry design with contrast walnut borders. 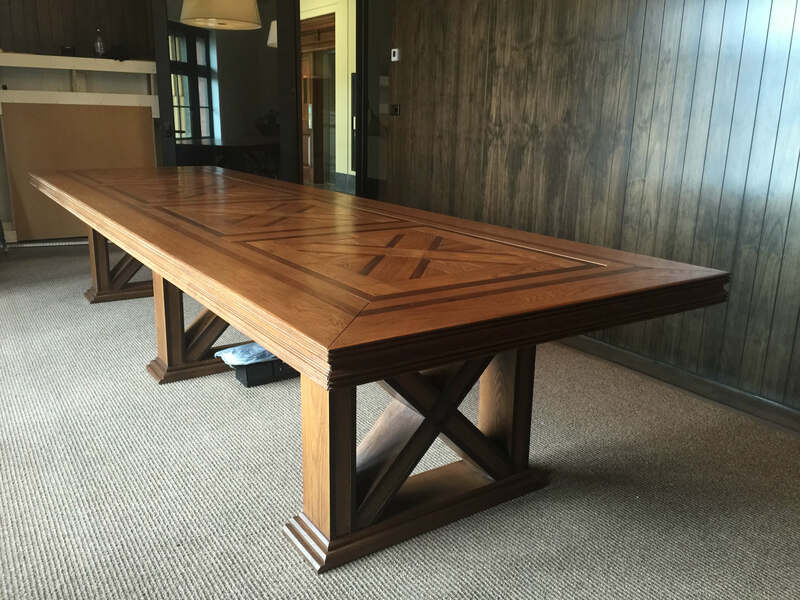 Custom designed for boardroom, this table incorporated four lift out sections for power/cable access. Parquetry inlay and base design inspired by the windows in the building.